! !Legendary pool parties every Sunday!! 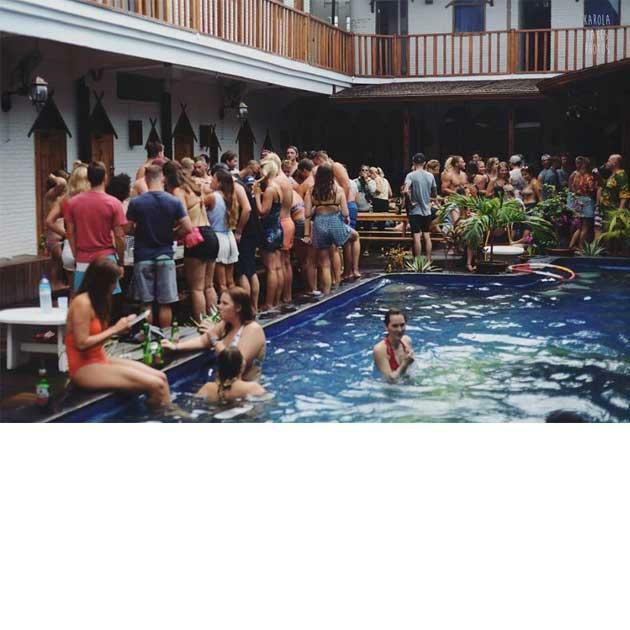 The BEST Pool Parties on Gili T are at Gili Castle every Thursday and Gili Mansion every Sunday at 2 pm!!!! Make sure to write this one down in your diaries when you visit the Gili islands. What better way to spend your afternoon than in our awesome pool drinking with new friends from around the world.